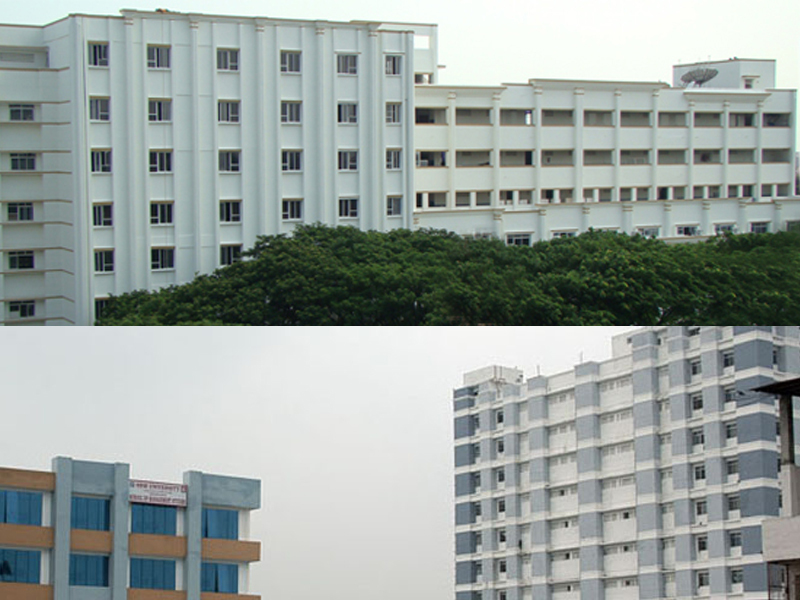 Easwari Engineering College was instituted in the academic year 1996 -1997, with the Approval of Government of Tamil Nadu and AICTE, New Delhi. As per Govt., Regulations for affiliation, originally the college was affiliated to the University of Madras, subsequently the college is affiliated to Anna University Chennai since 2002. Pursuing the philosophy of continuous learning, the Institution prepares the students to score creditably in the Academic sessions and also encourages them to develop their interpersonal and intrapersonal skills and attitudes to approach life with confidence. The working environment is such, Students as well as Faculty, are inspired and supported to attain high standards of Education and skill sets and shine in their chosen path. Faculty, with their impressive Academic, Research and Industrial experience, lead the students to achieve ‘Excellence’ and ‘Competence’. This in turn enhances the core strength of students and enables them to realize all round development. Phone: 91 – 44 – 2249 0853, 2249 5350, 2249 0431. Fax : 91 – 44 – 2249 0430. Campus: Easwari Engineering College was instituted in the academic year 1996 -1997, with the Approval of Government of Tamil Nadu and AICTE, New Delhi. As per Govt., Regulations for affiliation, originally the college was affiliated to the University of Madras, subsequently the college is affiliated to Anna University Chennai since 2002. Pursuing the philosophy of continuous learning, the Institution prepares the students to score creditably in the Academic sessions and also encourages them to develop their interpersonal and intrapersonal skills and attitudes to approach life with confidence. The working environment is such, Students as well as Faculty, are inspired and supported to attain high standards of Education and skill sets and shine in their chosen path. Faculty, with their impressive Academic, Research and Industrial experience, lead the students to achieve ‘Excellence’ and ‘Competence’. This in turn enhances the core strength of students and enables them to realize all round development. College offers 7 Under-Graduate and 7 Post Graduate Programmes, covering ‘Engineering & Technology’, ‘Computer Applications’ and ‘Management’. Approval from AICTE for B.E- Mechatronics is awaited. The National Board of Accreditation (NBA) has already accredited the Programmes offered by the College, except ‘Civil’ which was commenced in 2007-2008. The College has obtained ISO 9001:2008 Certification from TUV, South Asia. So far, 10 Batches of Engineering students have successfully passed out. Many of our students have secured University Ranks including the University First Rank. In 2007 – 2008, ‘Placement’ was more than 92% in companies of Repute, in 2008-’09 placement is 80% upto March’09. Many of our students pursue higher studies in India or abroad. Our Alumni Association is very active. With Branches in important cities, the association is steadily growing. Central library: Our Library is a paradise for those who have a passion for reading Books and enthusiasm for widening their knowledge base in depth and extent. 1. Fully computerized working Systems. 2. 16816 Titles and 62403 Volumes (availability exceeds AICTE Guidelines). 4. 803 Online Journals from IEEE, Springer link and ASME. Institutional Memberships: British Council Library, IIT (Madras) Library and the Centre for University Industry Collaboration/ Anna University, Madras Management Association, MALIBNET, DELNET Individual Membership: Library membership is compulsory for staff and students. All members are expected to follow the ‘Regulations’ as laid down. good examples for the juniors. Every one should uphold dignity, self respect and reputation of every other student and of the Alma-Mater. There are three Hostels for ‘Girls’ and two for ‘Boys’; The Hostels for ‘Girls’ and for ‘Boys’ are exclusive and well segregated geographically, keeping in view our tradition, culture and heritage values.